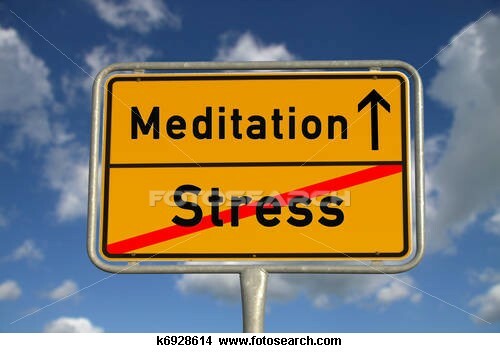 Meditation is an amazing antidote for that stress and every other stress for that matter. In Stephan Bodian’s Meditation For Dummies, he lists the following benefits of regular meditation practice. Fundamentally it achieves these outcomes by training the brain to return again and again to the present moment. Most of us get into emotional, mental and/or physical trouble when we go “unconscious” and our ego driven thoughts take control of our life experience. That is when, without even being aware of it, we can develop habitual thought patterns that do not serve us, or those we lead, well. Neuroscience has now confirmed that meditation helps undo the unwanted wiring or patterns that we may have created and trains the brain to stop creating more. An easy meditation practice to begin with is one where you focus on your breath. I love this meditation because in addition to helping you to meditate, your steady inhalations help you fully oxygenate your body and your exhalations help you cleanse your body of carbon dioxide. Good breathing technique is crucial for keeping the oxygen/carbon dioxide ratio of your body in balance. According to Gay Hendricks in his book, Conscious Breathing, the human body is designed to discharge 70% of its toxins through breathing. If less than 70% of your toxins are being released through breathing, other systems of your body, such as your kidneys or liver, have to work overtime. This can potentially set the stage for illness. Don’t expect anything to happen. Get a timer and set it for 5 minutes. Sit comfortably, with your eyes closed and your spine as straight as possible. Direct your attention to your breathing. Inhale and exhale slowly and steadily through your nose. With each inhale, count to 4; with each exhale, count to 4. If you lose count, no problem, just begin again with 1. If thoughts, emotions or physical sensations occur (and they will), simply observe them. Try not to judge or get involved with them. Think of them as waves that come and go on the shore. If you notice that your attention has drifted away from your breathing and you’ve become engaged in your thoughts or emotions, just bring attention back to your breathing and begin to count again. It is normal for this to happen. The key is to keep bringing your attention back to your breathing. It is the return to your breathing that is teaching your mind to follow your lead. When the timer goes off, slowly open your eyes and take a moment to readjust. Notice how you feel. Don’t worry if sometimes the entire 5 minutes is filled with thoughts. Try to simply be there, letting what happens happen. The key to experiencing the benefits of meditation is to do it regularly. As you feel ready, increase your meditation time incrementally up to 20 minutes. You will find with a consistent practice that you will feel uniquely more peaceful, present and relaxed.